have minimum 3 years history of financial reporting. Do you consider these criteria too restrictive for your company? Then you should consider listing on AeRO, BVB’s market for Small and Medium sized Enterprises that has more relaxed admission requirements. Read more about listing shares on AeRO. There are two ways in which companies can issue shares on the stock exchange. The first one is through the sale of new shares carried out by the company in order to attract financing for its development, and a second one, which implies a sale of a part of the stake held by one or more of the shareholders as a part of the exit strategy. In the second case, the funds raised are received by the seller and are not directed into the company. It is important to remember that either way, the company’s shareholders have to adopt the decision regarding admission of company’s shares to trading on the stock exchange. This decision has to be made by the company’s statutory body – the Board of Directors or during the General Shareholders Meeting. Initial Public Offering (IPO) – public offering of shares requires the preparation of a prospectus that has to be approved by the Romanian Financial Supervisory Authority (ASF), and the fulfillment of all the legal and regulatory proceedings. Private Placement – an offering addressed directly to a limited number of potential investors, maximum 149. There is no need to provide a prospectus for approval of the Romanian Financial Supervisory Authority. The prospectus will be needed only for the admission of the company to trading. Technical Listing – no offering takes place before listing, which means that the shareholder structure of the company is not impacted in any way and the company simply decides to be take advantage of the benefits of being a listed company (additional visibility, credibility, transparency). For technical listing on the Main Market, prospectus will be required for a company to be admitted to trading. A company is charged with two fees prior to the listing, i.e. the processing fee and the listing fee, and one annual maintenance fee, payable starting after the first year of listing. Selective data regarding the fees charged to issuers, by BVB only, is presented below. The admission, upgrade and maintenance fees are calculated based on the monthly weighted average value (a measure that approximates the issuer’s market capitalization, determined according to the methodology detailed in BVB’s Rulebook) and the shareholders’ equity. Fees are presented in RON and are VAT exclusive. Note: There may be other costs related to the listing, charged by third parties, such as FSA, intermediary, advisors or auditors. Transparency is a key issue for any public company. Investors need to be updated and informed regarding the important events in company's life. The key is to pass to the market, through current reports, reliable and rich in content information that will allow the investors to assess the impact of the given occurrence on the company. This means that major contracts, acquisitions, new product releases, litigations or other major developments should be communicated to the market as they have an ability to influence the stock price. This also includes negative information. Companies listed on the Main Market have to submit financial reports on a quarterly basis and it is recommended to it in both Romanian and English language. Financial results are some of the most significant news to share with the public. Investors appreciate detailed information such as the key drivers of revenues, operating result, net result or total assets. Best practices suggest that quarterly financial reports should be accompanied by conference calls or meetings with analysts and investors. On the Main Market, financial reporting must be according to IFRS standards. Once a company listed its shares or bonds, a contact point has to be established in order to carry out a communication between the company and its investors, both current and potential. That communication is carried out by the Investor Relations Officer (IRO) whose role is to provide knowledgeable information about the company to its investors. Investor Relations duties can be also carried out by the CEO or the CFO however this solution might not be sustainable for all the companies. Apart from communication with the investors, the IRO should maintain relationship with the financial analysts in order to bring the company on the radar of the major financial institutions. Additionally, investors and analysts value the participation in regular meetings as well as access to all the relevant information right on the company’s website. Companies listed on the Main Market have to adhere to certain highest standards of governance, as defined in the Bucharest Stock Exchange’s Code of Corporate Governance. BVB’s Code was developed by the Bucharest Stock Exchange in cooperation with the European Bank for Reconstruction and Development and is in force since January 2016. The Code focuses on provisions regarding the responsibilities of the management, the risk management and the internal control systems, fair rewards and motivation and the responsibilities of the Investor Relations function. For more information about the Code of Corporate Governance, click here. 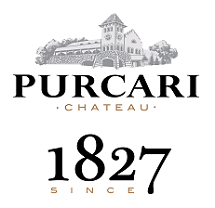 Purcari Wineries IPO included a number of 9,8mn shares, representing 49% of the total number of shares issued by the company, with a total value of the offering of over RON 186,2mn (EUR 40mn). 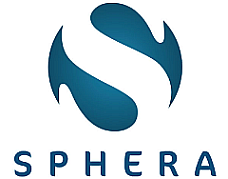 Sphera Franchise Group IPO included a number of 9,8mn shares, representing 25% of the total number of shares issued by the company, with a total value of the offering of over RON 285mn (EUR 62mn). Initially, the IPO was supposed to be carried out between October 24 and November 2, but it was closed earlier, as after the 2 days of the IPO, the subscriptions were almost x2.7 larger than the shares offered in the IPO. Transilvania Broker de Asigurare IPO included a number of 625,000 shares, representing 25% of the total number of shares issued by the company, with a total value of the offering of RON 9mn (EUR 2mn). The shares were sold by the 2 individual shareholders of the company at that time. Initially, the IPO was supposed to be carried out between June 8 and June 21, but it was closed earlier, as after the 2 days of the IPO, the subscriptions were x2.6 larger than the shares offered in the IPO. 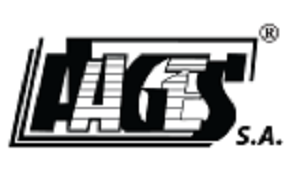 The AAGES IPO included a number of 1.5 million shares, representing 15% of the total number of shares issued by the company, with a total value of the offering of RON 5.5mn (EUR 1.2mn). The shares were sold by 9 individual shareholders. The DIGI offer included a total of 23.9 million shares, representing 25.6% of the total shares issued by the company, with a total value of the offering of EUR 207 mn. Citigroup Global Markets Limited and Deutsche Bank AG, London Branch acted as Joint Global Coordinators and intermediated the offer jointly with BT Capital Partners S.A., Raiffeisen Bank S.A., Société Générale S.A./BRD – Groupe Société Générale S.A. and Wood & Company Financial Services.